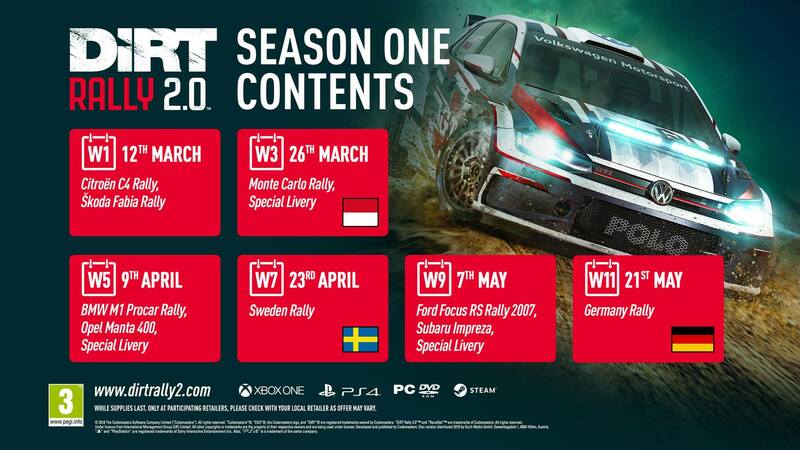 Codemasters has revealed the release schedule of the cars, liveries, and locations which will make up the DiRT Rally 2.0 post-launch DLC content. 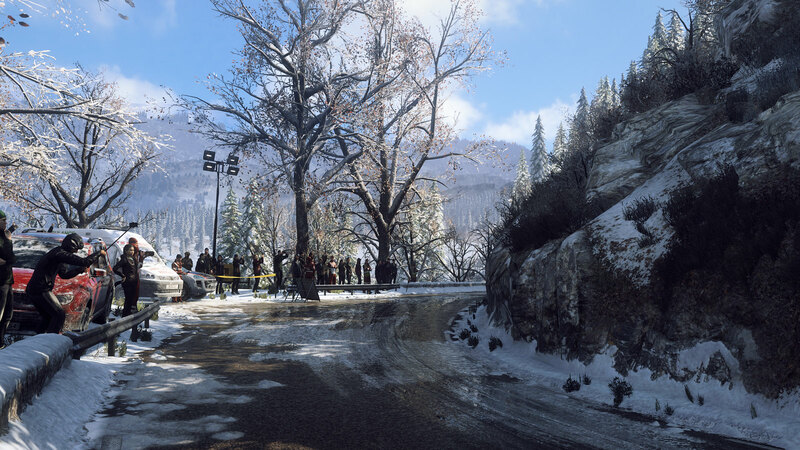 It was important for us to not just include brand new content for DiRT Rally 2.0, but also to recognize the fan favourites from the previous titles, commented Ross Gowing, Chief Games Designer. 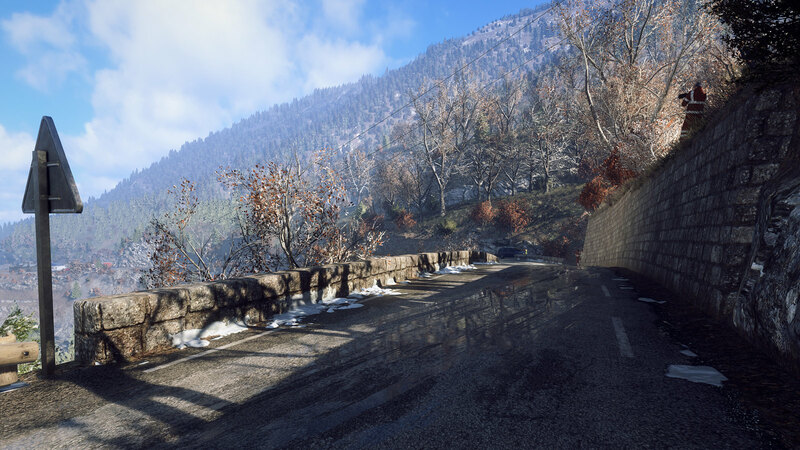 Gowing continued, The improvements the team have made for DiRT Rally 2.0 are plain to see, and Monte Carlo is a shining example of that. I think it looks incredible, and I hope our players feel the same way too. 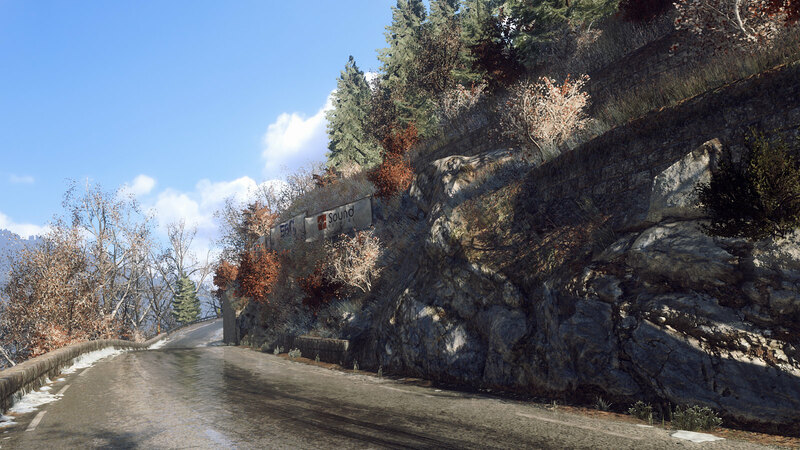 We are making a significant commitment to expanding the DiRT Rally 2.0 experience for the players that have been calling for us to do exactly that over a number of years. DiRT Rally will be available for the PS4, Xbox One and PC on 26 February 2019. The preorder DiRT Rally 2.0 is already available on the Steam network for 54,99€, while the pre-order DiRT Rally 2.0 Deluxe Edition can be purchased for 74,99€. Deluxe Edition players will be able to gain access to the game four days earlier on February 22, 2019. Players who pre-order or buy the Deluxe Edition will have this Season One content, plus Season Two which contains a similar level of content and features included as part of their Season Pass. Players who pre-order the Deluxe Edition will also have early access to the game from 22nd February 2019. 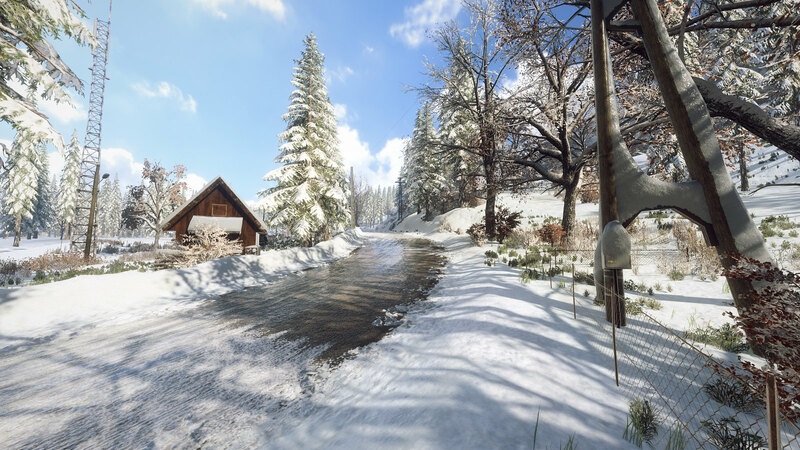 Day One or Standard Edition players will have the opportunity to purchase each season and piece of content separately on their digital store of choice.